Tripwire announced the first installment of an extensive survey on the state of risk-based security management with the Ponemon Institute. The survey covers risk-based security management program governance and maturity and includes 749 U.S. and 571 U.K. respondents from the following areas: IT security, IT operations, IT risk management, business operations, compliance/internal audit and enterprise risk management. “The findings from this report strongly indicate that risk-based security management is still viewed as an IT or security task instead of a business task,” noted Dr. Larry Ponemon, chairman and founder of the Ponemon Institute. 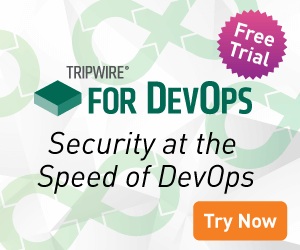 “There’s a big gap between risk-based security program commitment and how organizations are actually operating,” noted Elizabeth Ireland, vice president of product marketing for Tripwire.